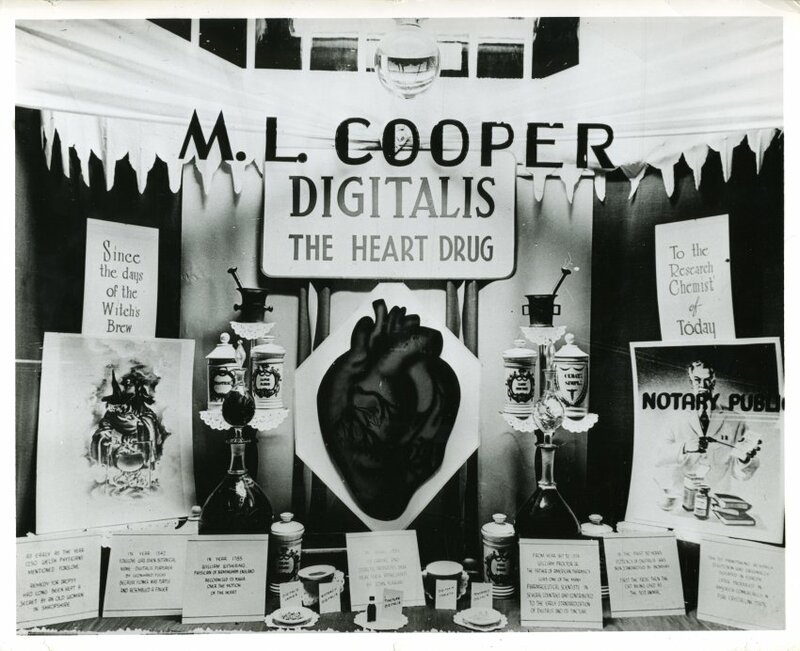 This M. L. Cooper Pharmacy window display revolves around digitalis, a medicine made from a plant commonly referred to as foxgloves. It can be used to treat many hearts conditions. 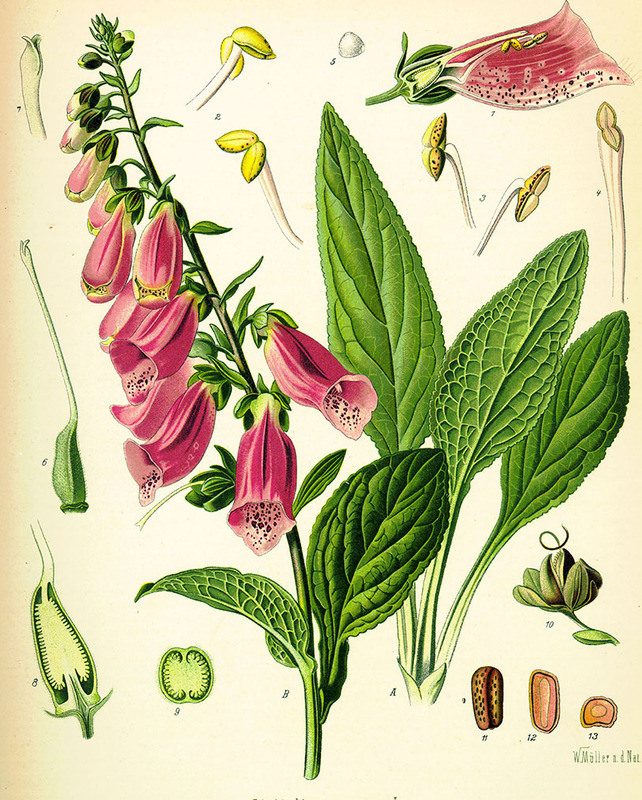 Digitalis was first introduced into the medical world in 1775.